Two more PA House Committee Chairs have decided to call it quits. Rep. Joe Markosek (D-Allegheny), Minority Chair of the House Appropriations Committee and Rep. Matt Baker (R-Tioga), Majority Chair of the House Health Committee, announced their plans not to run in 2018. This brings to nine Republican and one Democratic committee chair positions that will be vacant in the 2019-20 legislative session. There is also a 2/12/18 City & State e-newsletter speculating that the Minority Chair of the Transportation Committee is giving serious consideration of retiring. IN WHOSE CONGRESSIONAL DISTRICT DO YOU LIVE?…who knows! As most know, the PA Supreme Court’s ruling that the congressional district boundaries were skewed to favor Republicans put election district boundaries in limbo. In response, several versions of a revised map came from the General Assembly and the Governor’s office. Now, there is a new one prepared by the Supreme Court itself. In the initial ruling, the court gave itself the authority to draw and impose its’ own map. Thanks to Politics PA for the link that follows: https://www.politicspa.com/wp-content/uploads/2018/02/DWbCwdmUMAA2-gR.jpg. Despite the new map, there will be legal challenges. One impact is that the winner in the March special election to fill the unexpired term of former U.S. Representative Tim Murphy will face another incumbent in November. Right now, both candidates now live in the 18th district. If the newest map becomes final and Democrat Conor Lamb wins, he would face incumbent Republican Keith Rothfus. If Republican Rick Saccone wins, he would face new 18th district incumbent Democrat Mike Doyle. 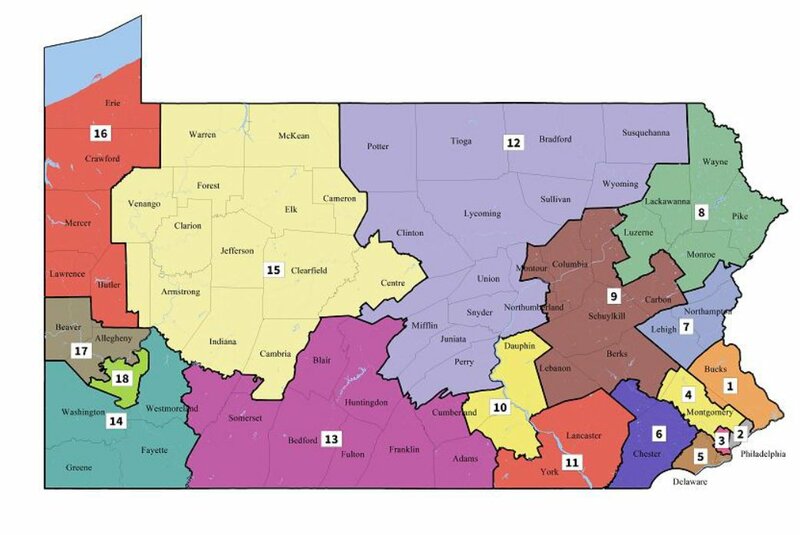 Another repercussion from the map uncertainty is that Rep. Ryan Mackenzie (R-Lehigh) may also file for re-election to the PA House in addition to his congressional bid to succeed retiring U.S. Rep. Charles Dent. WHAT HAPPENS NOW WITH THE STATE BUDGET? Now that the proposed State Budget for FY 2018-19 has been submitted to the General Assembly, the House and Senate Appropriations Committees are holding hearings with Cabinet and agency heads explaining their specific funding. Some, such as Acting Insurance Commissioner Jessica Altman, are not on the schedule. The Insurance Department receives its funding from a dedicated fund, the Insurance Regulation & Oversight Fund and not from the General Fund from where most of the State Budget comes. Following is a schedule. To keep note of changes, please refer to www.legis.state.pa.us and check House and Senate tabs, then click on ‘committees’. PA Cable Network (https://pcntv.com/schedule/ ) airs most of the hearings.